Actor-filmmaker, Farhan Akhtar, who is awaiting the verdict of his latest Lucknow Central, enjoys entertaining the audience in whatever way possible. In an interview to thestatesman.com, Farhan spoke about the evolution of Indian cinema, his experience of working with a debutante director and why it is important to engage with the audience and fans through any means possible. “I enjoy entertaining people or engaging with them in whatever way possible. I feel so fortunate about the roles I have allotted to myself that has been appreciated by the audience. The love and support from them keeps me going on that path and that’s that. It’s all about engaging with people for me,” the actor said. 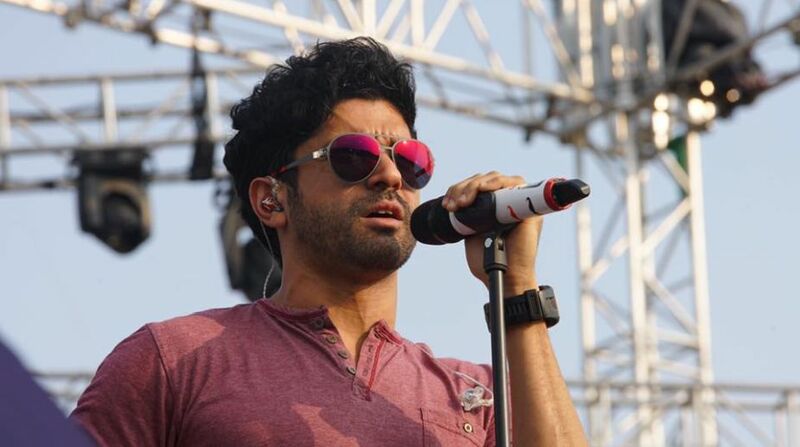 Farhan has acted in films like Rock On and Wazir, directed movies like Dil Chahta Hai and Lakshaya, and sung many hit songs. This time, the actor as Kishan Mohan Girhotra in Lucknow Central lives, eats and breathes music in the film! “My character in the film eats, lives and breathes music. His greatest dream is to a be a music composer for films, he is very dedicated for the same. But unfortunately, he’s that guy who ends up in the wrong places. His simplicity and optimism in the film is very contagious to the other inmates,” the actor said. Farhan thanks his co-star, Diana Penty, who re-infuses the energy back to his character at his weakest points in the film. “Whenever Kishan is at his weakest points he fortunately meets Gayatri Kashyap (Diana), who re-infuses the energy back in him about not losing hope,” Farhan said. Music is not the only thing to look out for in this prison break drama! “Music is a key part in the film, but there’s more to it than just that. When you actually watch the film you’ll get to know there’s much more to the film than just music. The characterisation of every character not just mine, and there’s a certain depth in the storyline,” Farhan said. According to Farhan, when a person is convicted/arrested for a crime his entire life is changed. “There is no justification for their crime but we hope when they come out of the jail they are humanised and reformed for the rest of their life. They should not become the forgotten people of the country,” the actor’s take on the life of prisoners. Farhan, who is himself one of the most recognised directors of the industry, was not at all nervous about working with debutante director, Ranjit Tiwari. “I was not nervous even for a bit. Ranjit had all my confidence in him. From the word go, when we met, he told me about how he intends to make the film. You can tell how much a person is passionate when you meet him and listen to him. He is very passionate and his research was well researched. I knew that he was well prepared so at no point I felt nervous about working with a new director. Ranjit has justified his role as director for the film,” the actor said. The Lakshaya filmmaker never even read the script before accepting the role. He was just so impressed by the narration of the filmmaker that he made the call to do this film instantly! “I was just completely engaged by the script, there’s no other reason! Nikhil Advani insisted that I don’t read the script and instead take the narration. I was engaged with the narration from the word-go till the very end. When I watched the film, I was so elated and happy about my journey in Lucknow Central,” Farhan interestingly revealed the reason behind accepting the film. The actor believes that you end up functioning to the best of your level when there is a set of fine actors working with you. “It’s wonderful to work with people who are so good at what they do. You eventually end up functioning to your best level when you know you are working with great performers. They bring a lot of talent and tremendous amount of skills. It was just amazing working with the entire team of the film,” the actor said on his work-experience with the team. According to the actor, change is inevitable and the evolution in any art form is a constant. “Change is inevitable and evolution in any art form is constant. The fact that the dynamics of the film industry is being challenged is most welcome in my opinion. We as a company (Excel Entertainment) are the first people to portray women in greater roles and not just objects. Be it directors Zoya Akhtar or Reema Kagti or giving greater roles to women in the film,” Farhan said. “In terms of platforms, the more platforms means different kind of content to offer to the fans. There’s a generation of people who watch Inside Edge and shows like that don’t even like to watch movies. For those people making appropriate content and choosing the right platform is our job. And eventually it’s for the greater good for the industry.” the actor concluded. Lucknow Central has been released worldwide.